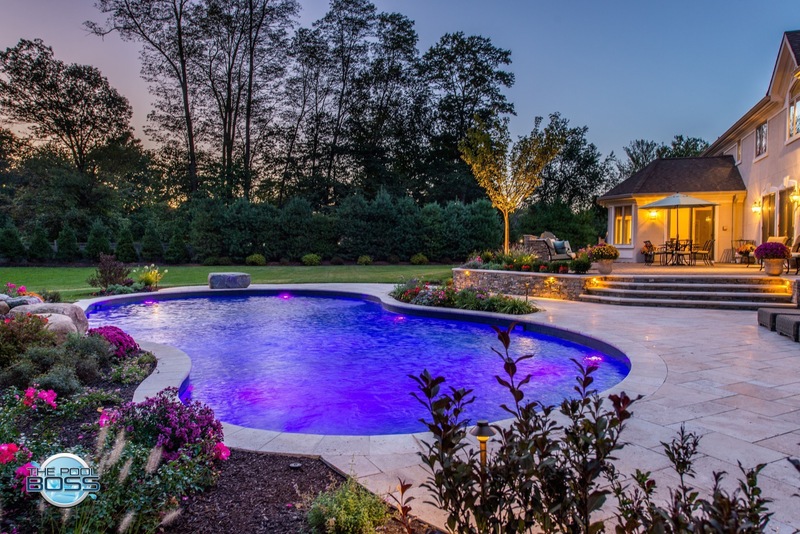 Freeform pool featuring LED lighting and a custom water feature. 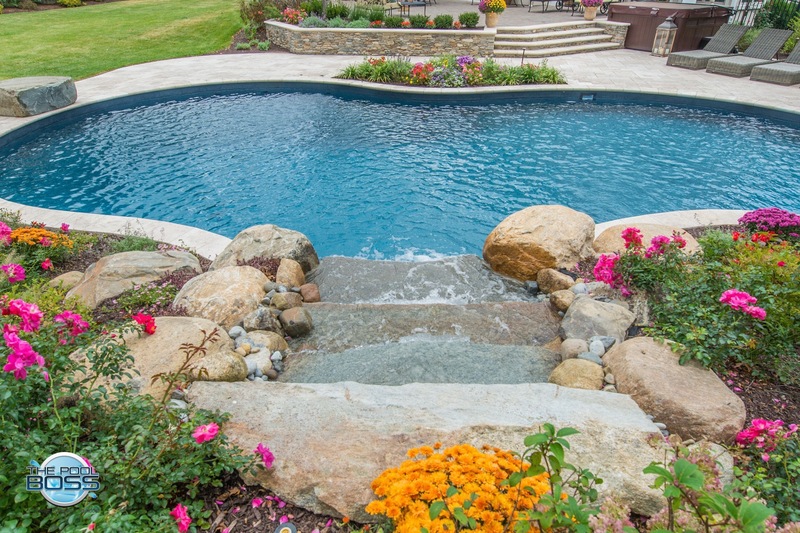 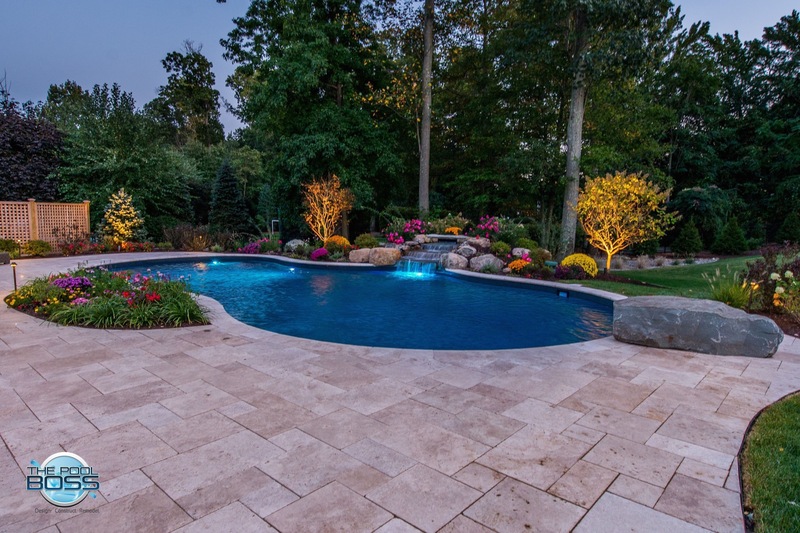 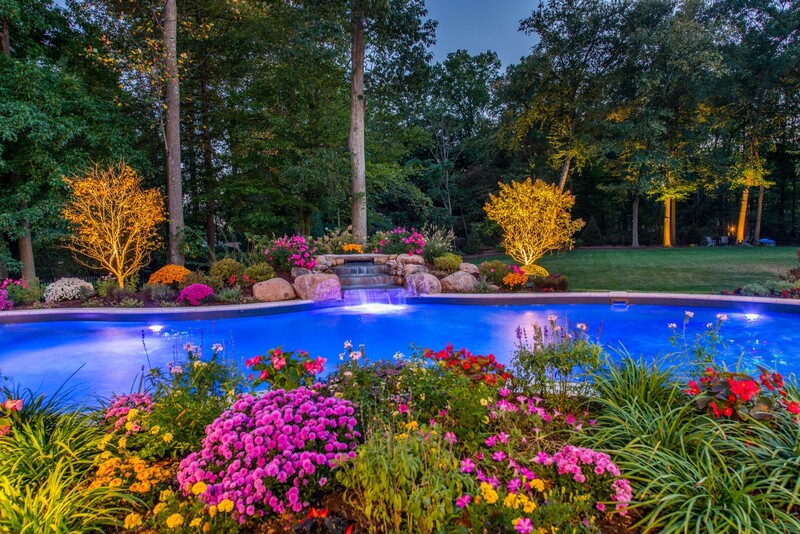 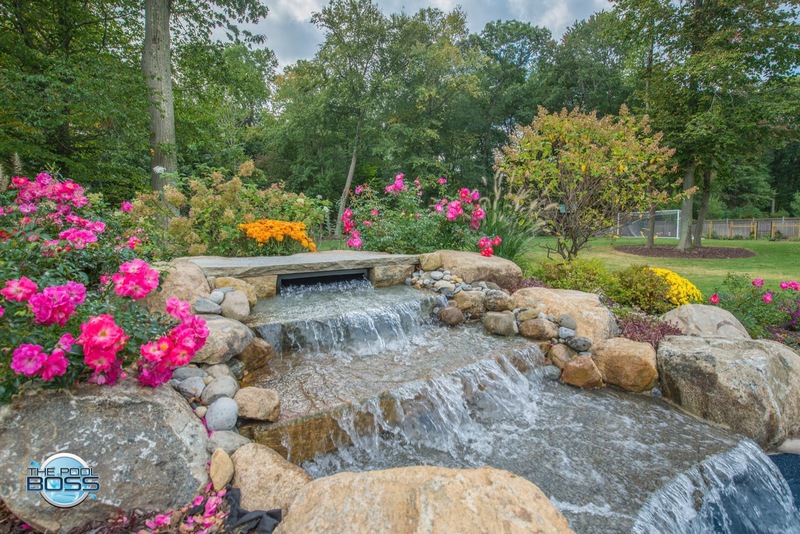 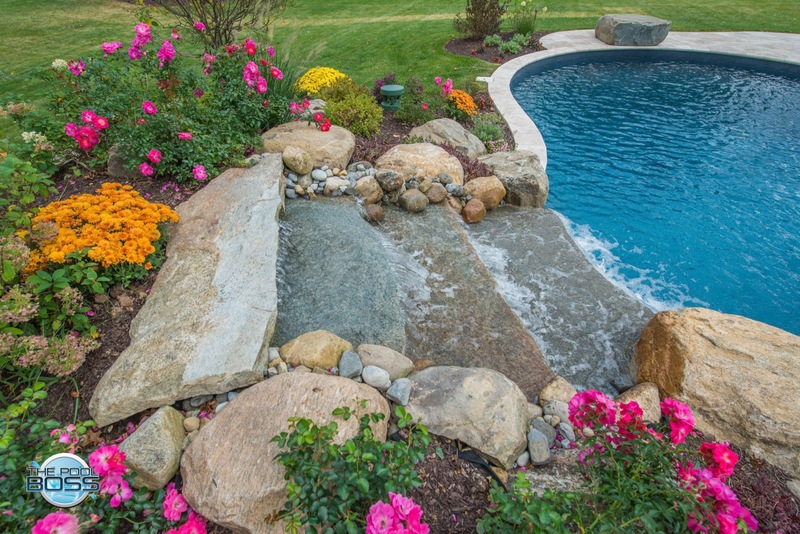 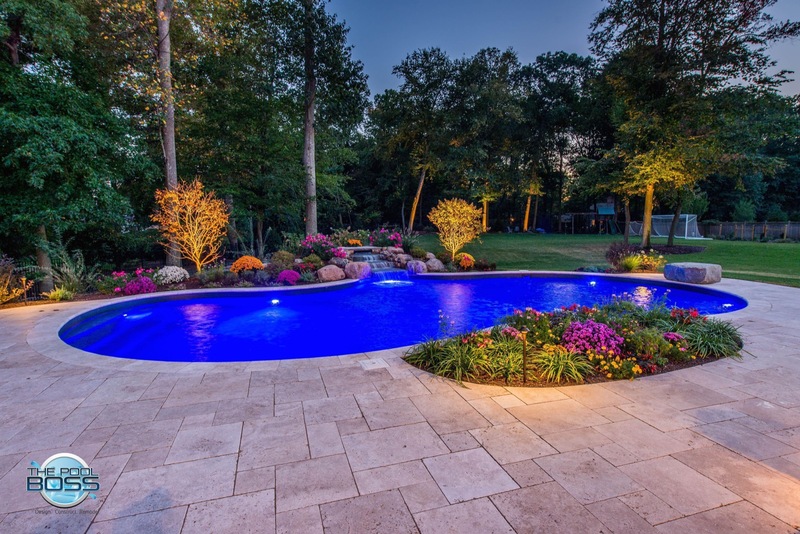 This natural looking pool is enveloped with a travertine patio, luscious green grass, and multicolor plantings accented by uplighting. 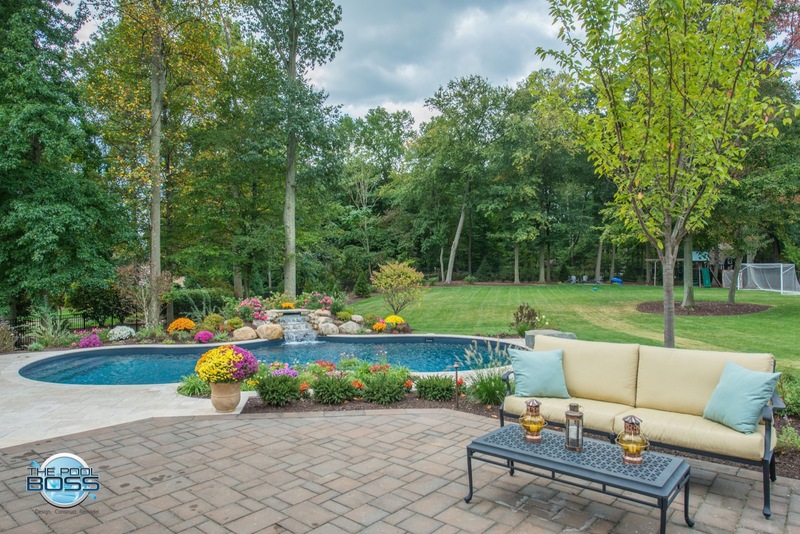 This backyard oasis provides an al fresco feel and an escape from the daily routine. 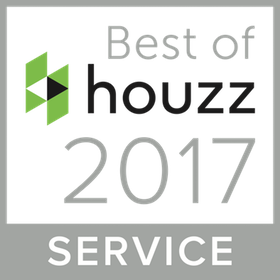 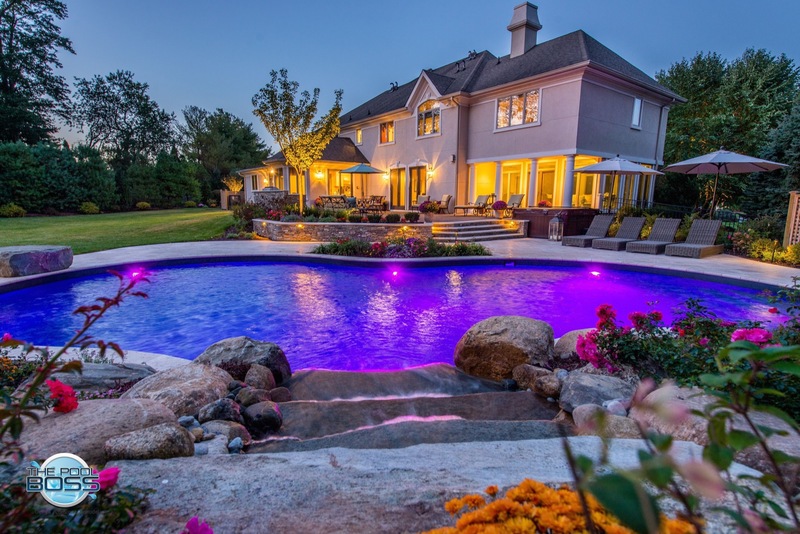 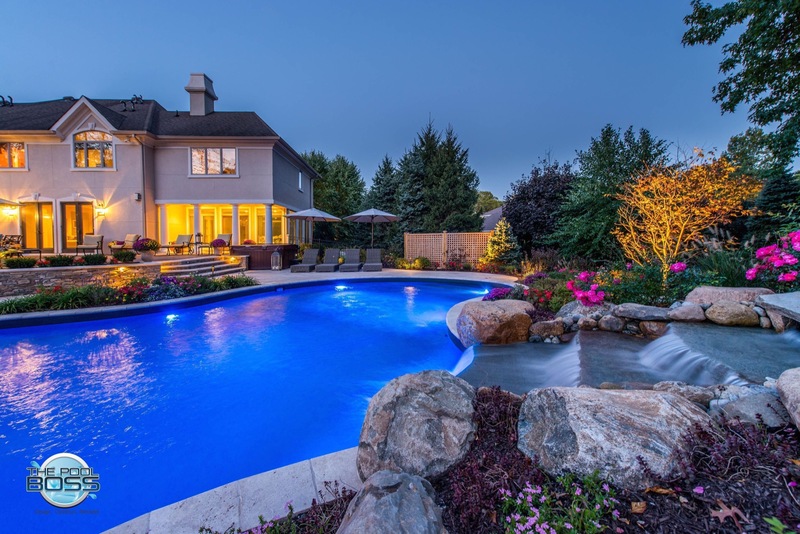 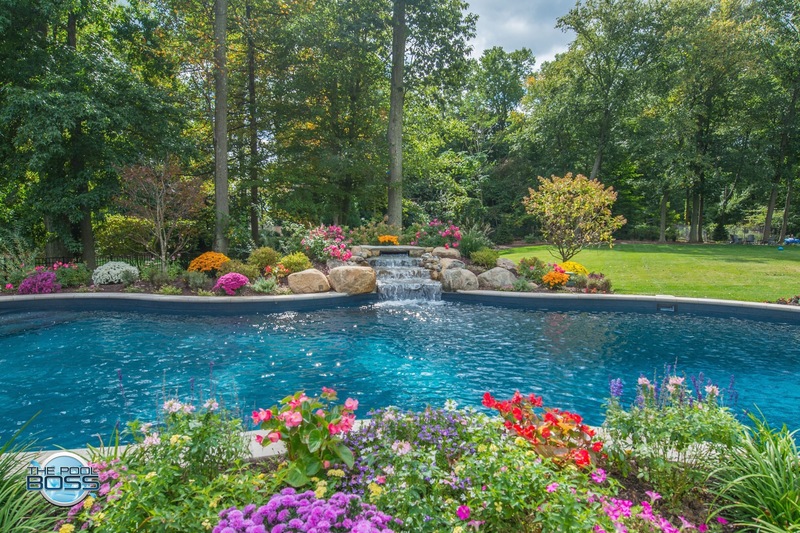 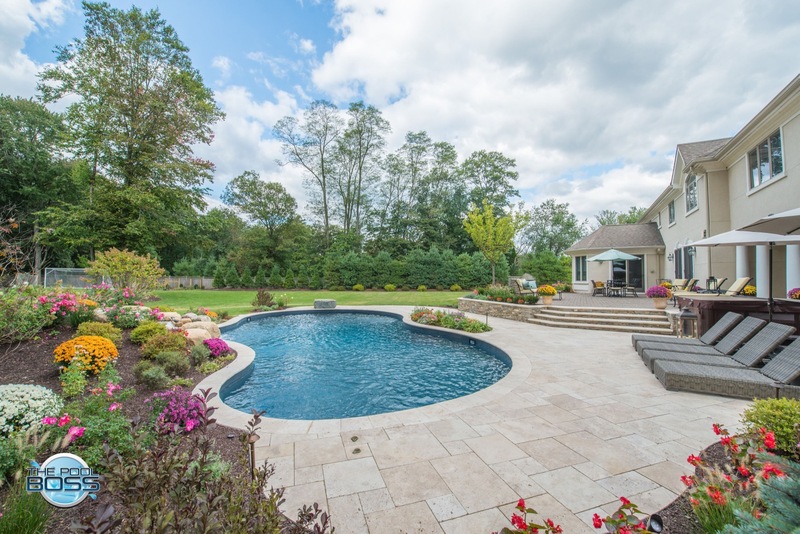 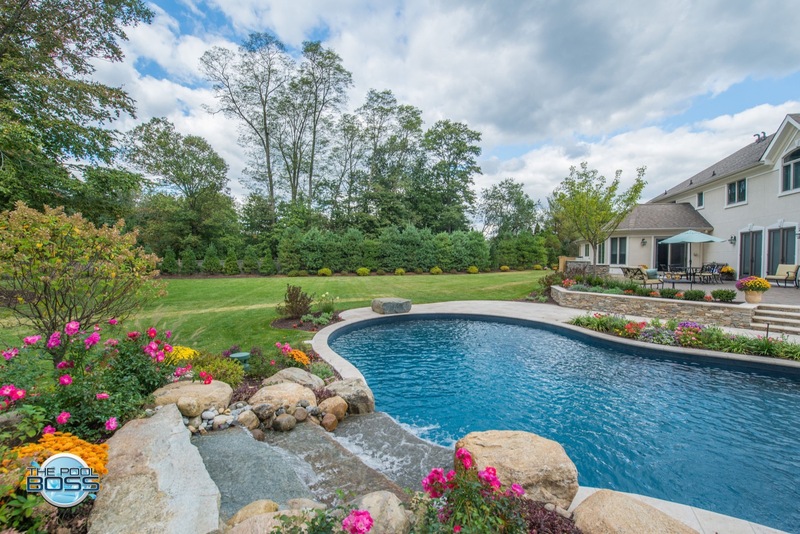 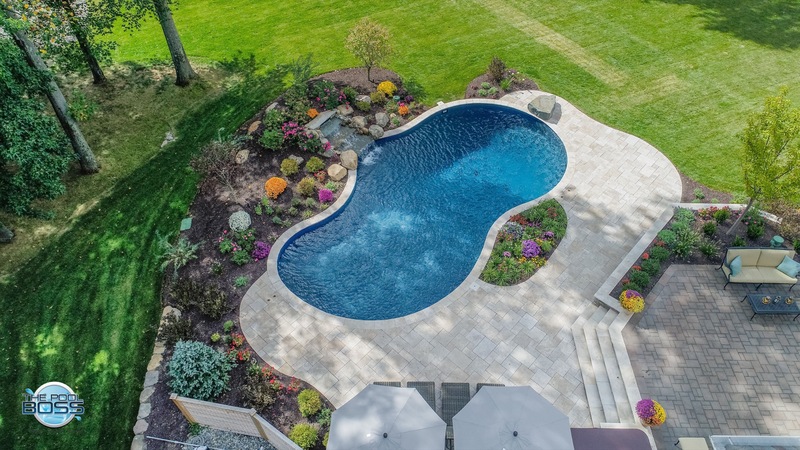 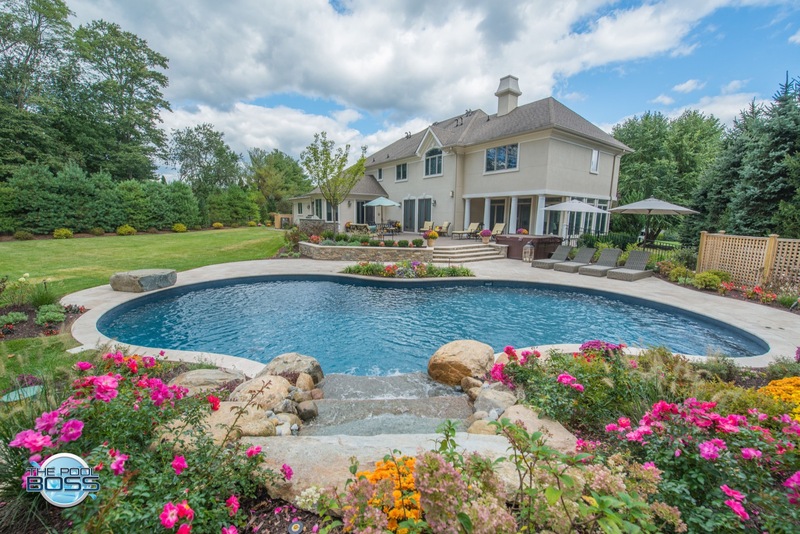 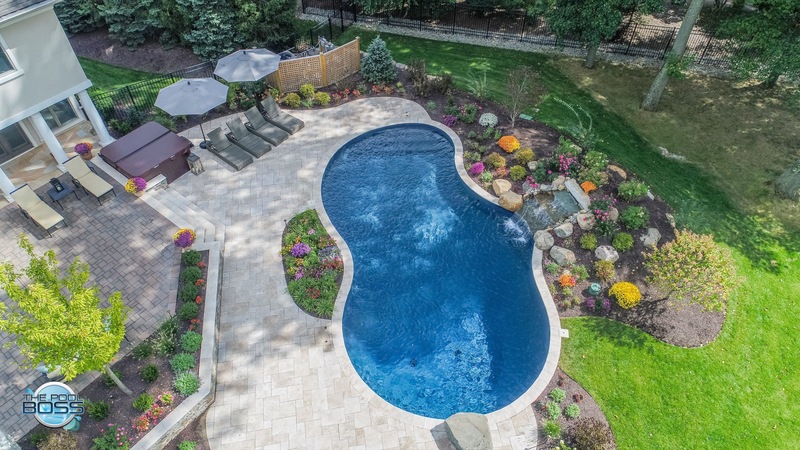 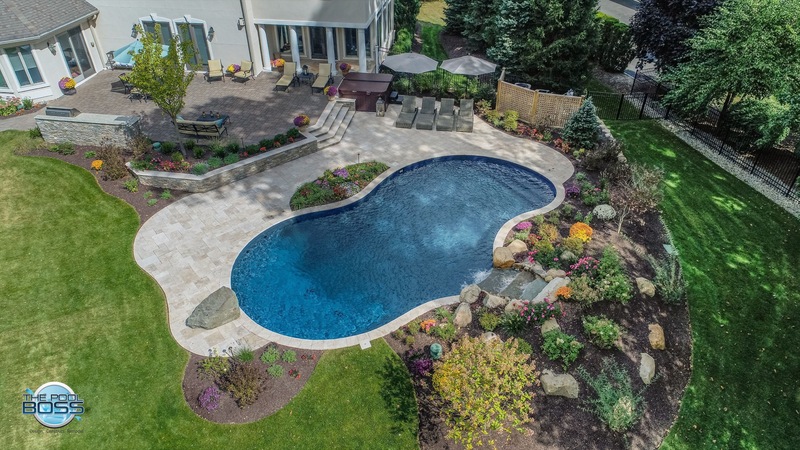 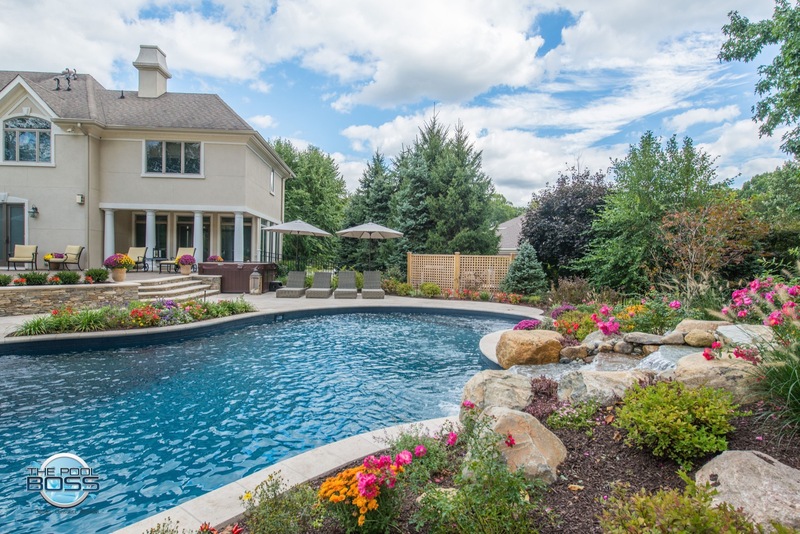 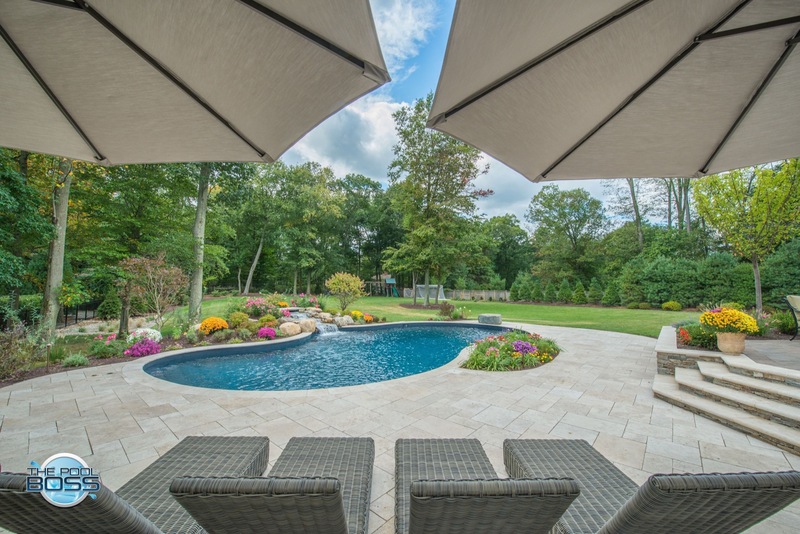 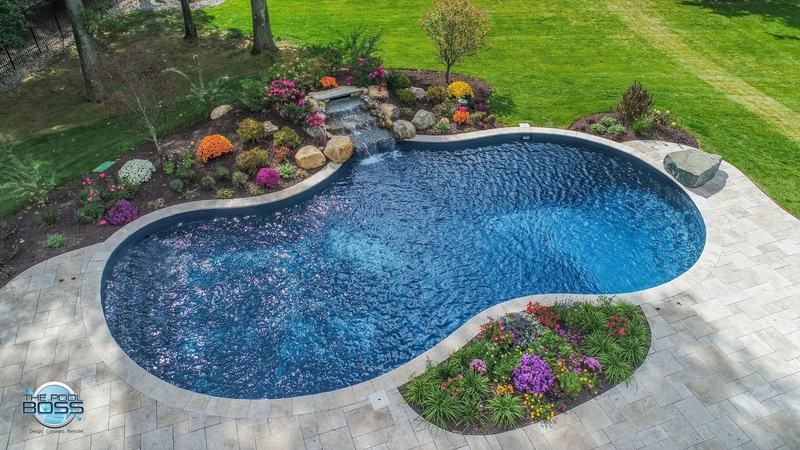 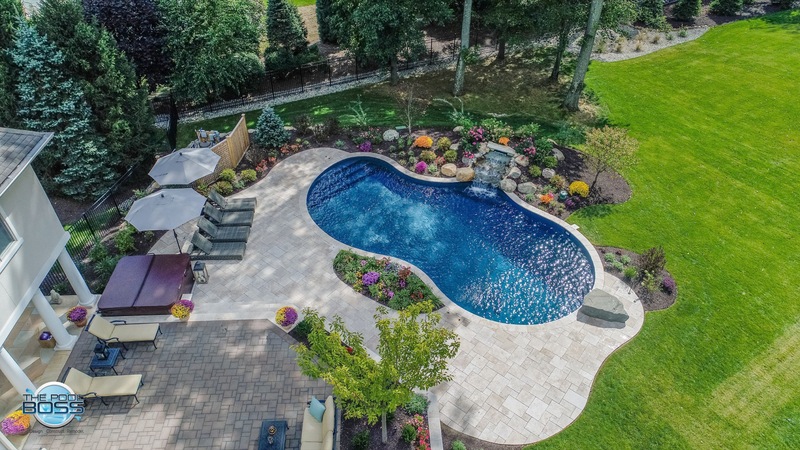 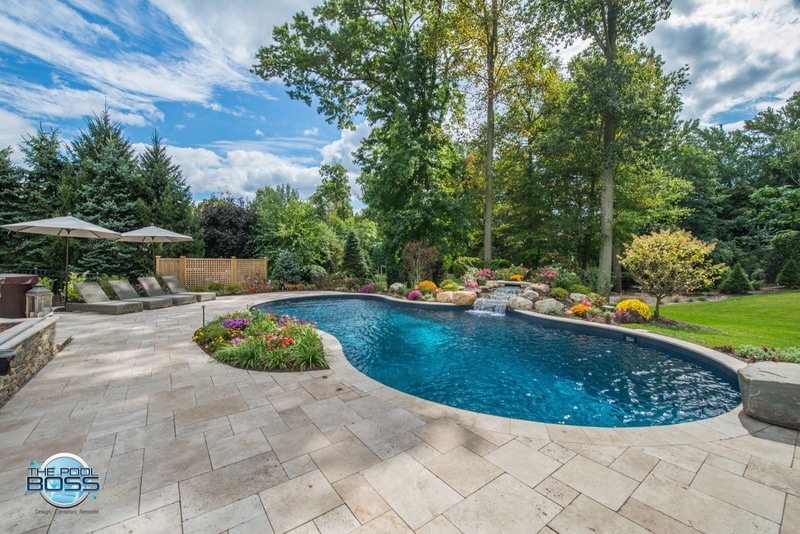 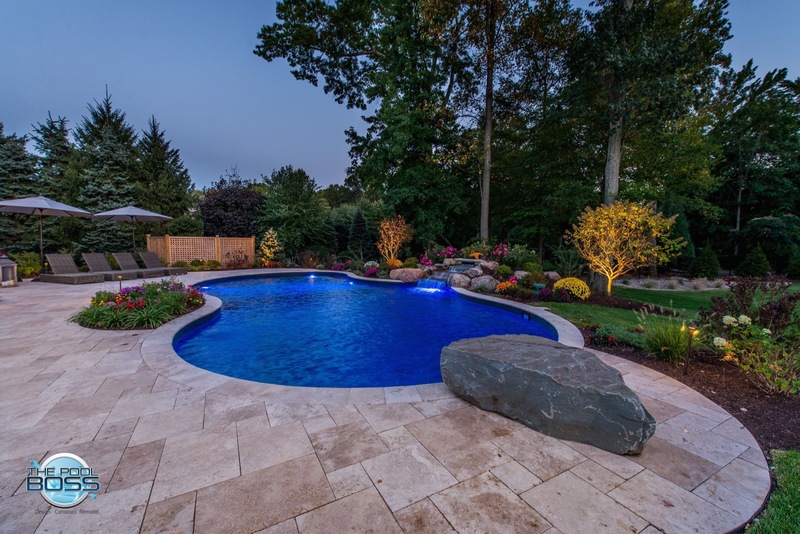 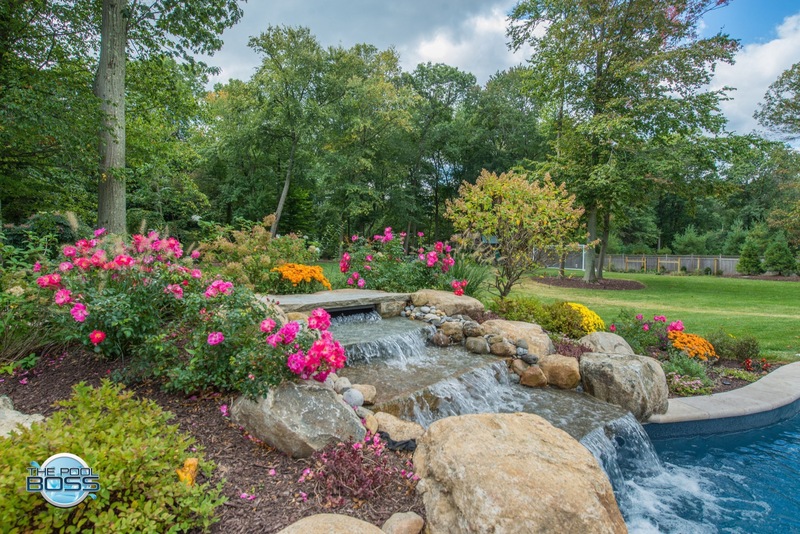 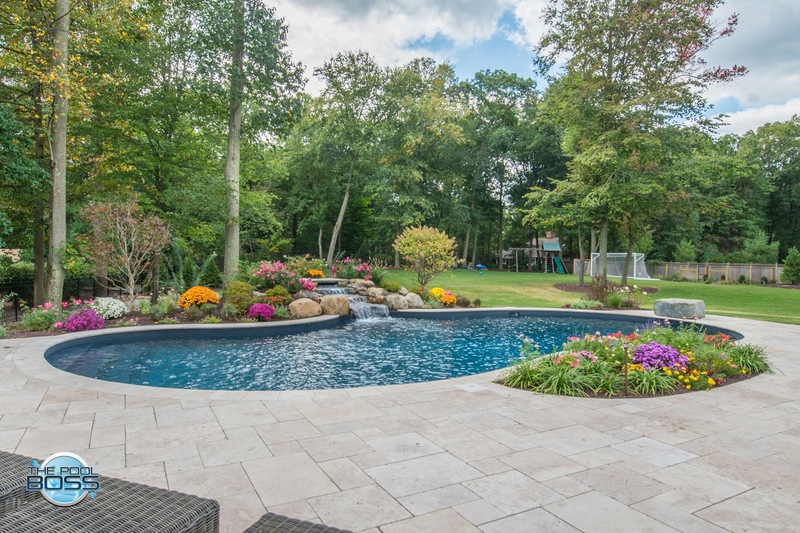 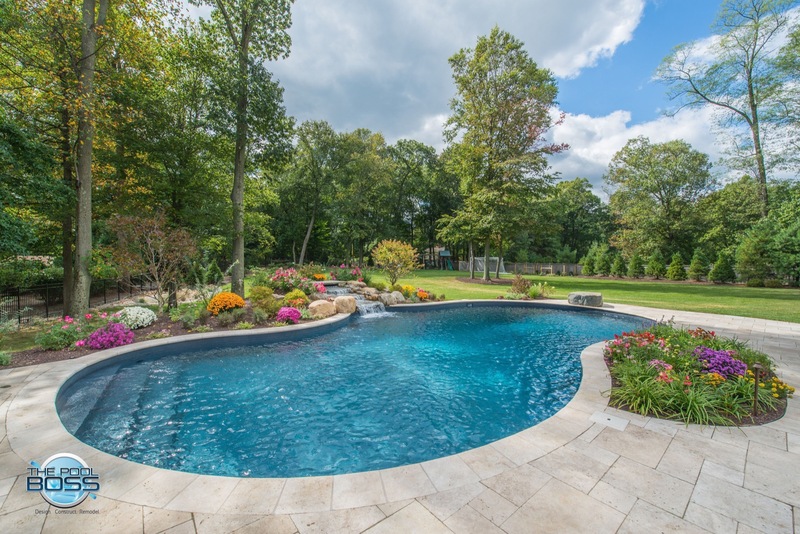 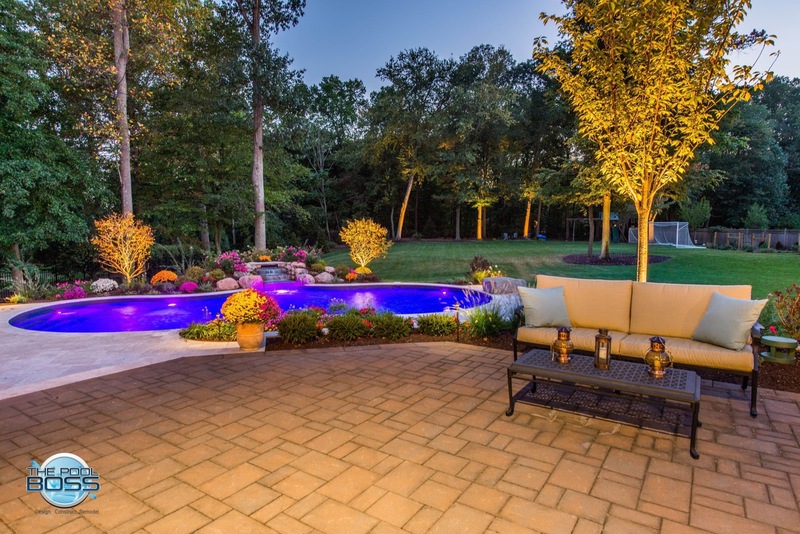 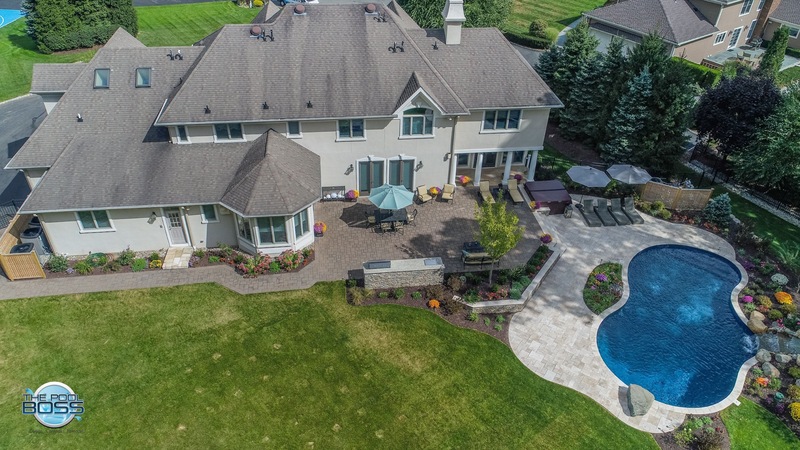 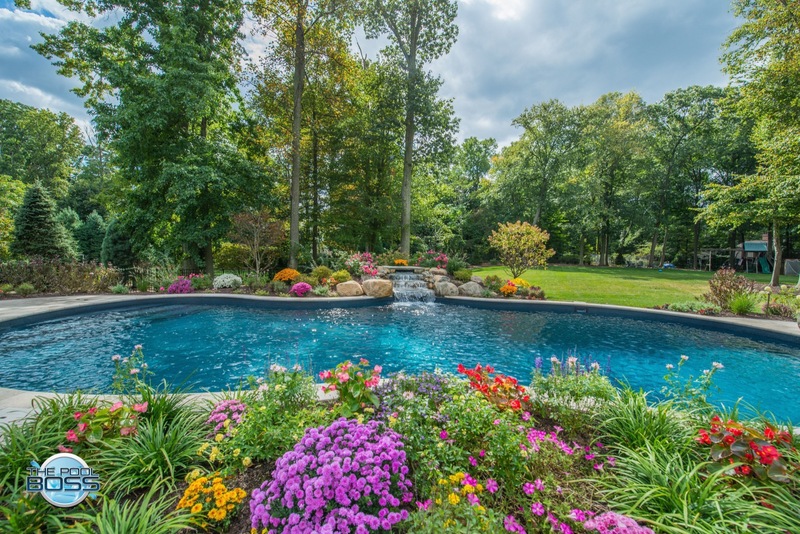 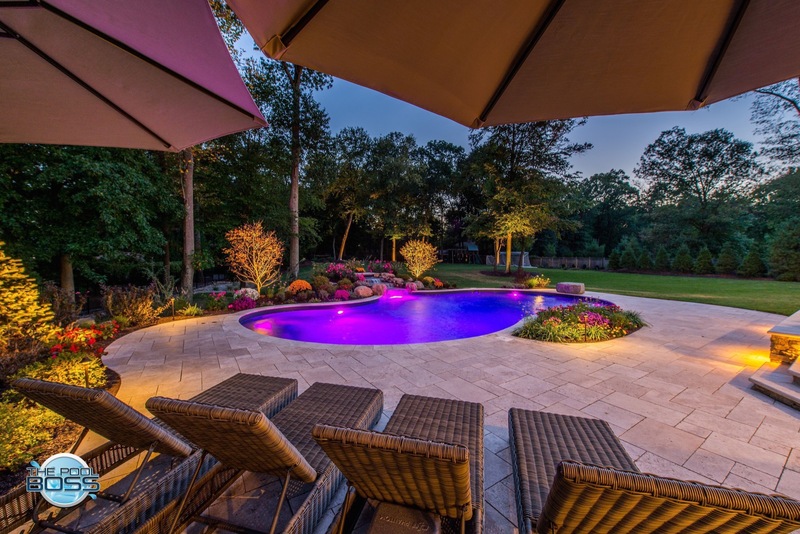 As outdoor living continues to become a staple of homeownership in Union County, this yard provides multiple lounging zones, a dining area, a hot tub, and of course an inground swimming pool to relax, swim, and build memories. 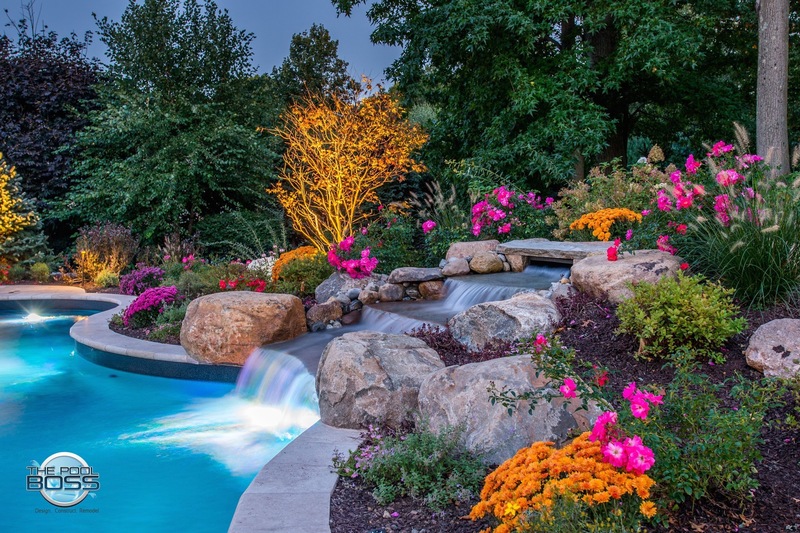 Landscape design and installation of patio, pergola, fireplace, and plantings by CLC Landscape Design.